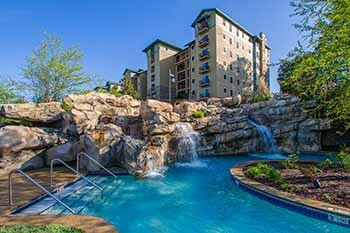 This condominium property offers value, taste and aesthetics, and fun beyond belief Majestically overlooking Patriot Park in Pigeon Forge, the Cherokee Lodge Condominiums are designed for the ultimate guest experience. There is a carefully crafted a great floor plan, incorporating every possible element necessary for you to create lifetime vacation memories. 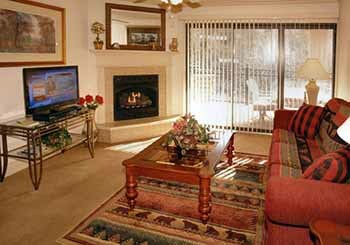 Tastefully decorated, upscale condominiums in Gatlinburg. 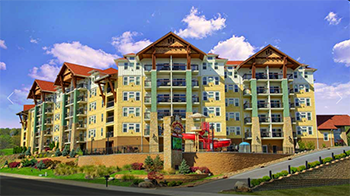 These Gatlinburg condos are loaded with amenities and fully equipped kitchens. Take in the views and quiet nature of these well maintained environments. All condos are close to downtown Gatlinburg, Ober Gatlinburg, Ripley's Aquarium, and lots of restaurants. Spectacular views of the Great Smoky Mountains, indoor / outdoor swimming pools, with hot tubs. Your day at the luxurious RiverStone Resort & Spa will begin with a sunrise peeking above the rolling green hills of the Gatlinburg Golf Course or reflecting off the trickling waters of the Little Pigeon River.